Went in during the day to see if could book car in as slow puncture. Booked me in 2 hours later and the service was first class. I was shown what the issue is, gave option of tyres and when I asked about the free 5 point check I was told this was already done and I was taken through each one. Josh Woodward was outstanding. I had to alter the date for my MOT & they did that willingly for me. The staff were second to none. They couldn't have been more help. I have used the Truro branch on 2 occasions over the past 12 months. I have found them to be honest at assessing work to do on my car, they have been most professional and very polite, and the quality of work has been outstanding. The work carried out has always been undertaken within a most acceptable timescale. Quick, efficient service, friendly staff, comfortable waiting room, good value MOT. I always get polite service and helpful advice from the staff. Work completed as promised. Tyres fitted in a timely professional way. Short wait and all staff I met were polite and professional. Because my experience of all the below is excellent. The team in Truro have been very helpful to four members of our family recently. The work/tyres were a good price too. Polite, helpful and informative staff which I find very good. On the basis of an excellent customer experience provided by colleagues at your Truro Branch; who are invariably friendly, professional and efficient. Efficient friendly customer service on phone and at the garage. Good explanations of work being carried out. Good explanation of choice of tyres to fit budget. When phoned to arrange a time was told I could bring car in now. Did not have to wait on arrival. Left garage feeling pleased with the service I'd received. Free to call from mobiles also a good service. Courteous, friendly and provide good information. Prices are reasonable. The staff who I dealt with were both friendly, professional and helpful. I could not fault them at all. A real credit to your company. Truro branch had two tyres in stock, which I needed the next day for my Renault Espace. Friendly customer relations. Fast service. Customer choices. I was a sole female driver who had a trashed tyre and was 2 hours away from home. I turned up at 5.50 and was so relived when they said they would help. The staff we friendly, knowledgeable, gave me good advice ref the new tyres and finished the job within 20 mins. Amazing! Skilful, efficient, helpful and friendly service from Dean Blessed, Joshua Woodward and Andrew Tucker particularly; amongst other staff members of your Truro branch. polite, knowledgeable with attention to detail. Good service and good prices for top end tyres. Good, fast service, rang up, dropped car off an hour later, done and finished an hour later. Very helpful, polite and accommodating. Job done quickly, friendly staff, reasonable price, honest advice. Because of the high standard of service i received today on buying and fitting new tyres. My local branch (Truro) are first class in all aspects. I have been using them for 14 years now. Good service.Friendly and knowledgeable staff. Advice I can trust and efficient service. Because my car was serviced promptly and efficiently. Very good customer service. Good value for money. I always get good service,and the assistant talks me through what deals there are,and explains what work they have done,and takes me through the bill. Friendly helpful service as usual. i have have always been very pleased with the service and price, so i recomend National whenever i can. I am a very satisfied customer but I never give a 10 out 10 score, simply because no-one is perfect. Friendly and efficient staff who I feel give excellent service and in whom I have trust that they will give me the best advice. Very prompt service, personable and polite staff and competitive price promise. I attended the store regarding a noise that my car was making. The staff at the Truro store were quick to assist me and the manager of the centre carried out a very thorough examination of my vehicle and was able to diagnose the problem. The problem was not something that National could fix however despite this he did not charge me for doing such a thorough diagnosis that other autocentres would and was very polite and courteous throughout. Would definitely recommend in future. Polite and Efficient staff. Availability of tyre make and casing type. Depot adjacent to city centre, so can leave vehicle while doing some shopping! Quick efficient service, excellent price online and picked up a couple of other areas to raise to my attention. I booked online through Tyreshopper which was simple and easy. I was able to book a fitting date and time (AM or PM) and local fitting location at the point of booking online convenient to me. Once confirmation had been emailed it advised me to contact National Tyres Truro which I did the following day. The person I spoke to at National Tyres Truro was aware of my order and confirmed my order was available and we confirmed a time. When I arrived at Truro National Tyres the person on reception had the paperwork ready and waiting and fitting was completed within the allocated time. Very good service received by both Tyreshopper and Truro National Tyres team. Excellent service. Quick, friendly, helpful and value for money. Would highly recommend!! 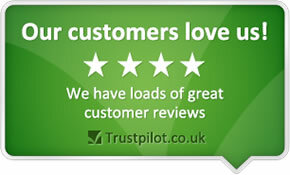 Excellent service,staff were polite and courteous and my new tyre was fitted and balanced to my complete satisfaction. I had purchased the tyre online so was not only able to choose the time for fitting but was able to compare various companies and their prices easily. National was by far the most competitive. Good customer service at desk and dealt with change of tyres there and then. Friendly, easy, quick and straight forward service and advice. Great value for money, courteous and professional service. They are a decent bunch, with good standards. Fantastic Service. I damaged a tyre and they had me back on the road quickly and safely. I have unusual tyres which my local National Tyres had in stock at a competitive price. I have been to a competitor in the past who advertise that they can FIT tyres QUICKly and had to wait for 4 days while they obtained the tyre. Prompt and friendly attention, and all work carried out clearly explained. Excellent service and practical, honest information. As a woman I did not feel that I was being taken advantage of because of my lack of car knowledge. Friendly, quick and efficient service. Robert and Andrew at the Truro depot were very friendly and efficient. Because the staff are very helpful and explain everything,they also treat you like a human being not just a customer. A great team. Professional, friendly, and helped with advice regarding my car. Really pleased I have found this garage. Freindly fast service. Did not rip me off where other garages have. Very happy friendly helpful staff. always been polite and efficent and competetive. From the moment I drove in to the time I left the staff were efficient, friendly and very helpful. Helpful and good advice with a smile. I have a rule which says there is always room for improvement, no matter how little. Tyre was faulty, however it was quickly replaced. Friendly service. Having rung other local suppliers for quotes the representative at your Truro branch was especially helpful, informative, friendly, willing to listen, caring etc. The others were good but not up to your representative. On arrival the same quality of service was evident, choices very explained and no sales pressure was evident. The task was completed in less than half the time I had anticipated and I left happy. Friendly service. Didn't feel like I was being ripped off like I have in other garages. Quality was great and speedy. The free inspection of brakes whilst other work was being carried out identified a potentially dangerous condition which was notified to me in time for it to be rectified before I returned to collect the car. Helpfulness and politeness of the staff. pleasant prompt service and very commpetitive price structure.Let down only by not returning phone call in reasonable time. friendly, straightforward. david herbert your staff member who looked after me was excellent.